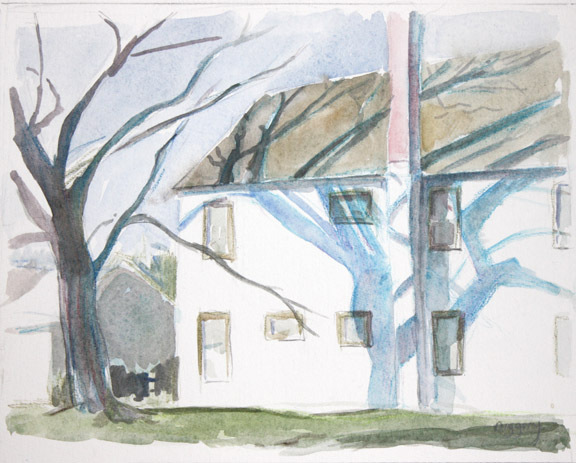 I remember driving around a long time, not inspired until I saw this tree shadow coming alive on the house, bending with its form. I think it was just off of Union Avenue near Nelson. I’ll go look soon.